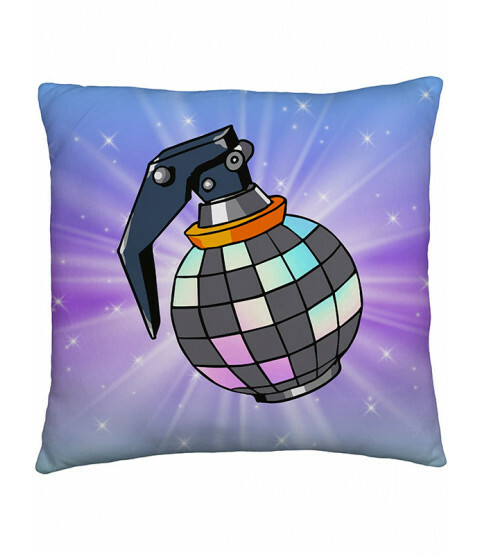 This official Fortnite Boogie Bomb Cushion is ideal for any fans of the popular game. 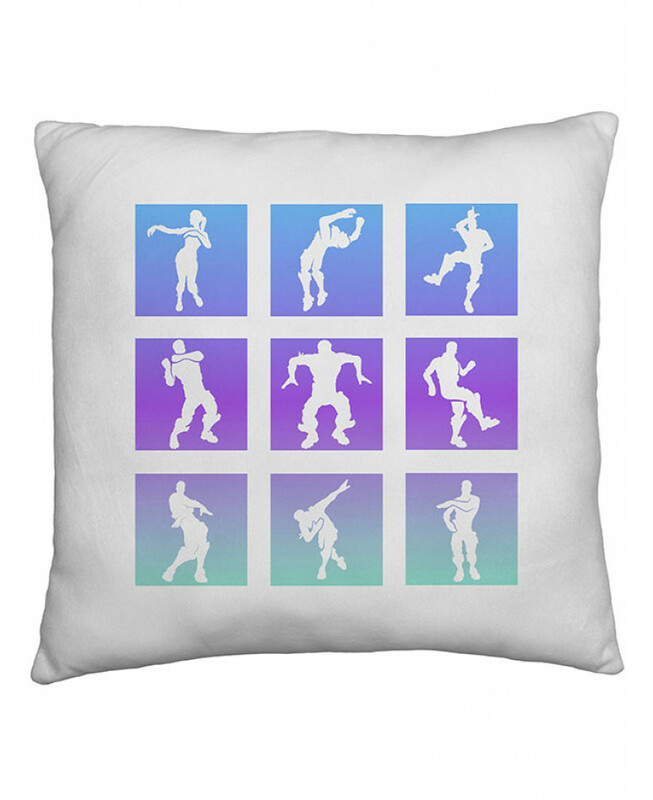 The reversible cushion features a colourful Boogie Bomb on a purple background on one side, while the other has white dancing Heroes silhouettes set in colourful blue, purple and green squares on a white background. 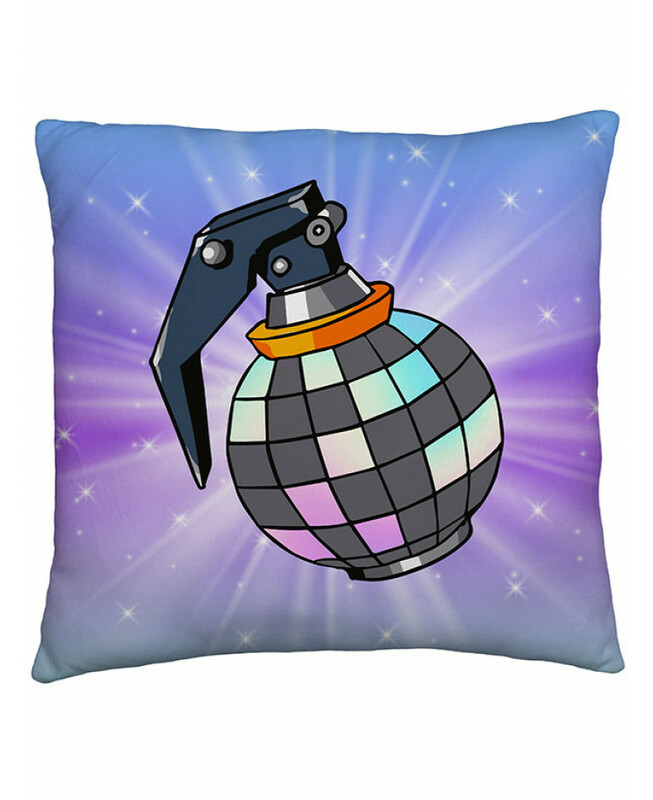 This cushion is a perfect accompaniment to your Fortnite duvet cover and can be sponge cleaned.